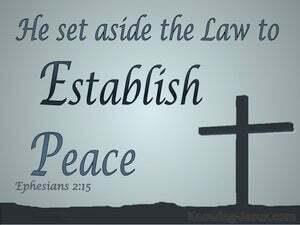 Despite being in prison for the sake of the gospel of Christ, Paul pens three amazing chapters in Ephesians that outline the incredible privileges and position that Christians have in Christ Jesus our Lord - before instructing us on how to live in this Church age. 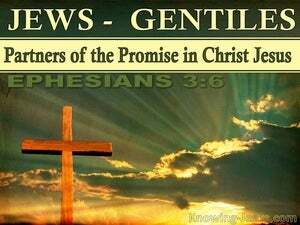 For two wonderful chapters Paul outlines the gospel of God, where believers have been placed in union with Christ.. such that Jew and gentiles together have become one body - one new man in Christ. 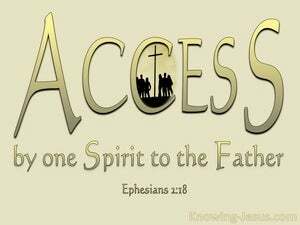 Paul has just finished three glorious chapters telling us all about our precious position in Christ and the wonderful privileges that are ours in Him. 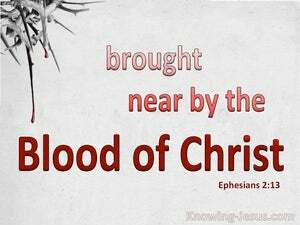 He tells of our redemption through the blood of the Lord Jesus; our changed relationship to God, the birthright we have in Him and the permanently indwelling Holy Spirit, Who guides us unto all truth. 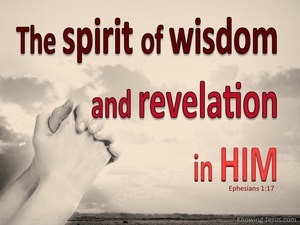 The wealth that all believers have in Christ is described in incredible depth and wondrous beauty in the first three chapters of Ephesians.. before Paul begins to give instruction to believers.. on the application of these glorious truths, which are found in the last three chapters of this book. 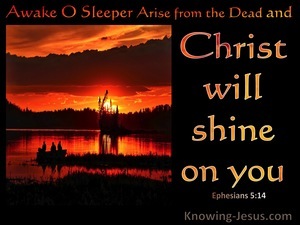 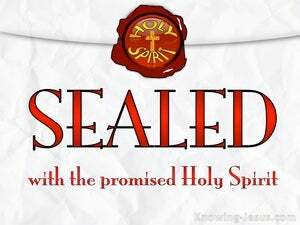 Paul was commissioned to deliver a sacred secret to the believers at Ephesus, a mystery that had been hidden for ages and generations, but which was entrusted to him and other holy apostles of Christ's. 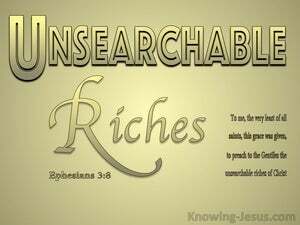 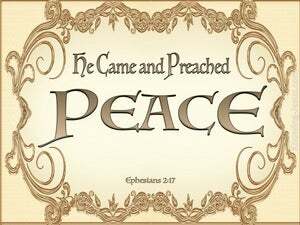 The first part of Paul's ministry, was to preach the unsearchable riches of Christ. 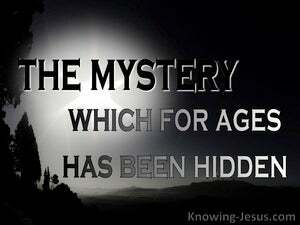 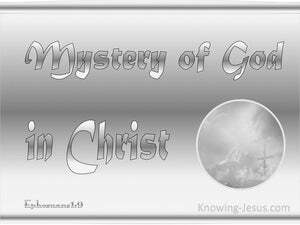 The second aspect of his calling was to help us understand about 'the administration of the mystery'. 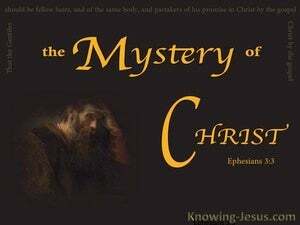 Paul was anointed of God to open up the gospel to the Gentiles.. and to explain the mystery of God, which had been hidden from past generations.. but which had now been revealed to the world, through Paul, and the other apostles. 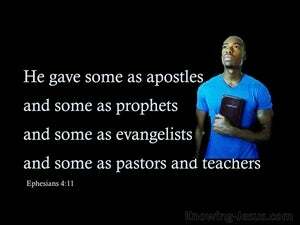 Israel had a special, and unique ministry, which was given to them by God. 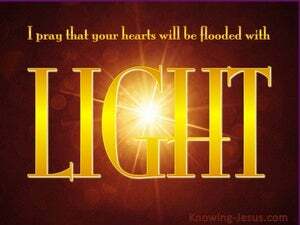 They were His people and He was their God, and they were called and chosen to be a light to the gentiles. 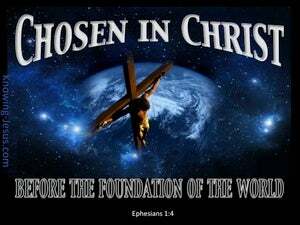 They were to shed abroad the wonders of His name, and proclaim throughout the world, the glorious news of salvation by grace through faith, to those who were dead in sin. 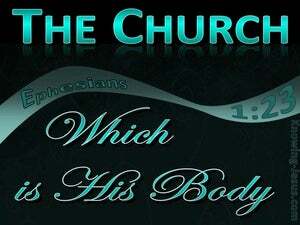 Once again superlatives and fullness flood this verse, identifying the body of believers, which is the church, as the temple of God. 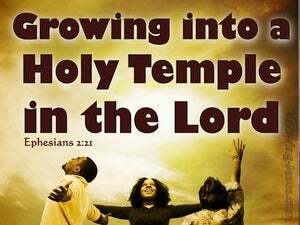 We are called to be His holy habitation and His appointed resting-place, wherein He will dwell, through time and into eternity. 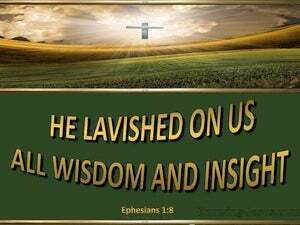 Paul desires that the spiritual awareness of the saints of God is all-embracing, such that we are able to comprehend the multi-dimensional breadth, length, depth and height of God's love - through the sacrifice of His only begotten Son. 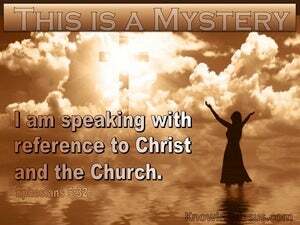 The dimensions of Christ's love for His Church are unfathomable and enfold all those who will trust in His name for salvation.. whether they be Jew or Gentile, bond of free, male of female, black or white - young or old. 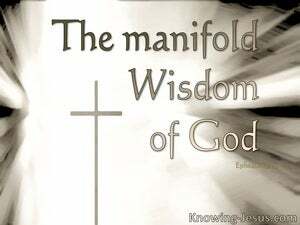 The manifold riches of God’s grace towards His children sparkle like a myriad of shining stars throughout the book of Ephesians – reaching into the heavenlies, as verse by verse we are shown more of the gracious provision that God has poured out, without measure, over the heads of all who trust in the Lord Jesus as saviour. 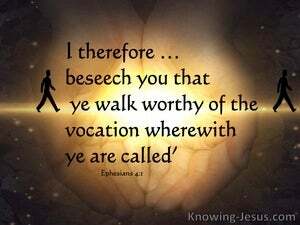 Having spent three wonderful chapters on our position in Christ and our Christian calling as children of God, Paul exhorts us to walk worthy of that great calling. 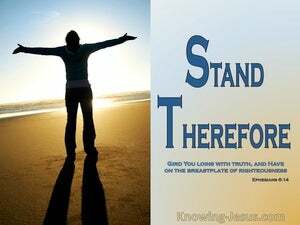 He beautifully balances doctrinal truth with the duty and responsibility we have of being in Christ. 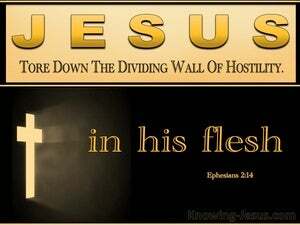 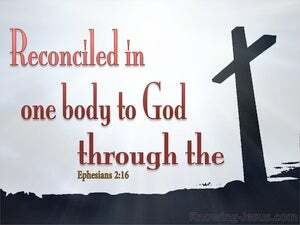 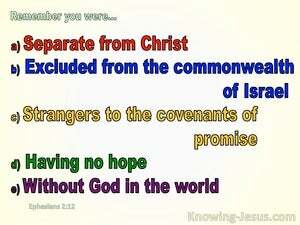 Paul knew that unity in the body of Christ can be threatened from without and destroyed from within. 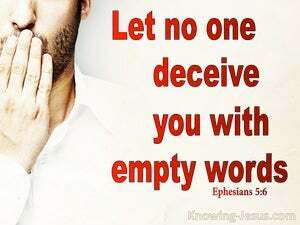 False doctrine and distorted scriptural truths can invade the Church and trivial dissensions and petty disputes can also be a destructive element that causes disunity. 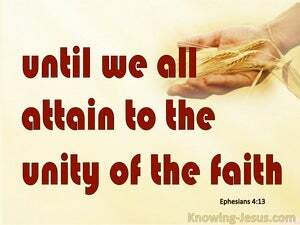 Christ earnestly prayed for unity (note- not uniformity) before He died: that they may be one..
As members of the Church, we are to live a life that is worthy of our calling. 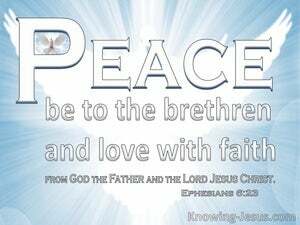 We are to clothe ourselves in humility before God our Father, and we are to walk in the unity of the Spirit, in the bond of peace. 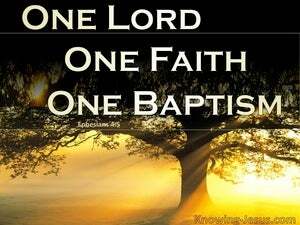 And in this passage, we are given the many elements of unity that are ours, in Christ Jesus - our one and only Lord and Saviour. 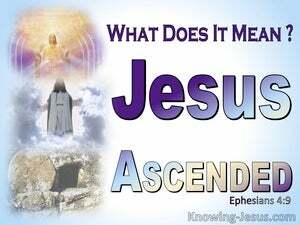 We read in this passage that when Jesus rose from the dead He ascended into the heaven of heavens on high, He led captivity captive and gave gifts unto men. 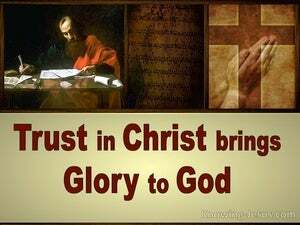 There are a number of interpretations of this passage from good Bible teachers and each have merit – and each give glory and honour to Christ. 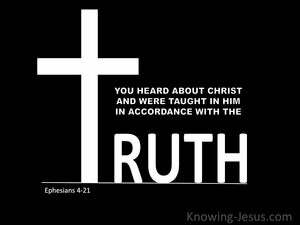 Paul is a good teacher, in that he not only encourages and corrects those he is teaches but also reiterates important facts for emphasis and seeks to clarify Old Testament quotations. 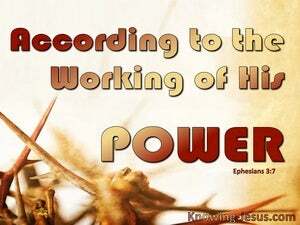 He explains the meaning of hard words or phrases, and provide clarity when giving instruction or when something may be misinterpreted, ambiguous or difficult to understand. 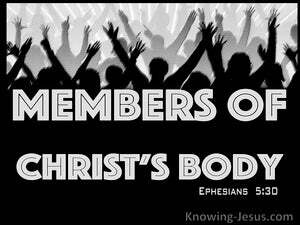 Having spent three glorious chapters outlining who we are in Christ, Paul turns His attention to grounds for unity within the Church. 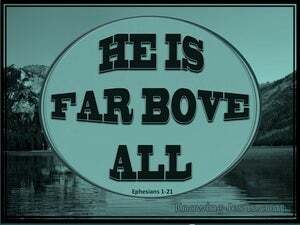 He reminds us that there is one body of believers - the body of Christ; one Holy Spirit Who indwells and seals each believer; one hope of our calling which is reserved for us in heaven and one Lord - our Saviour Jesus Christ. 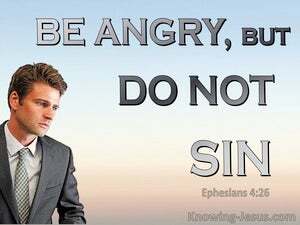 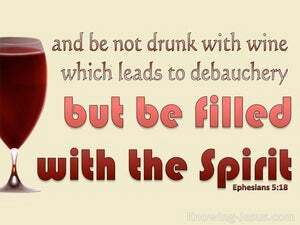 Paul explains that the gifts of the Spirit should not be abused for self-satisfaction, nor should they be used to indulge in ungodly, emotional experiences. 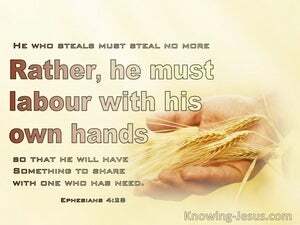 The gifts of the Spirit are given to help equip other believers in their spiritual service; to edify the body of Christ and to help to perfect each member of the Church for the particular ministry to which God has called them. 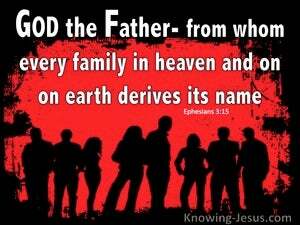 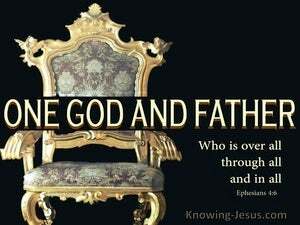 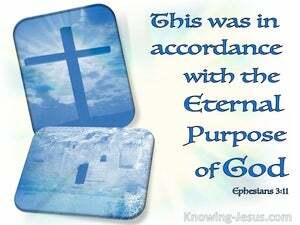 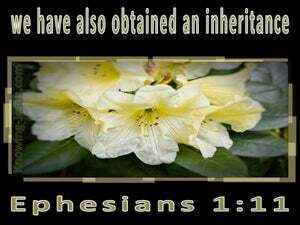 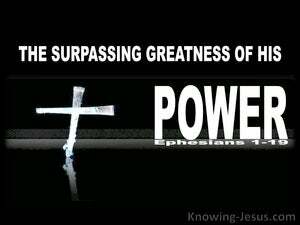 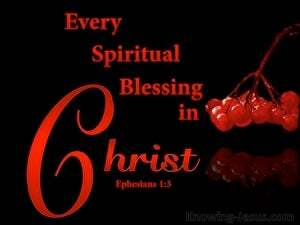 The earlier chapters of Ephesians provide us with a veritable feast, of all that is ours in Christ. 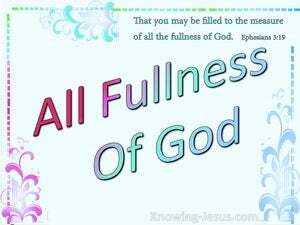 We discover our position, individually and corporately, and rejoice to hear of the multiplied privileges, and precious promises from God, which are all 'yes' and 'amen', in Christ Jesus our Lord. 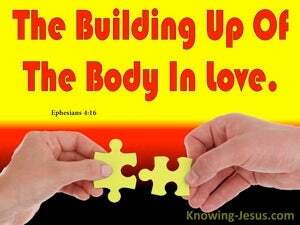 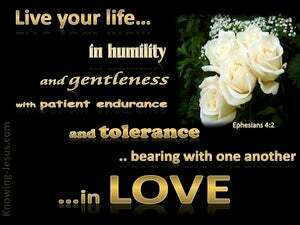 Like begets like for flesh begets flesh and Spirit begets spirit. 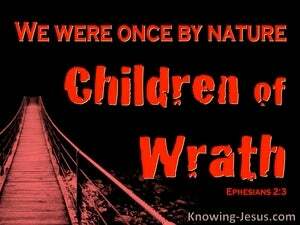 When we were born of fallen Adam we were born of the flesh and received a fallen and fleshly nature. 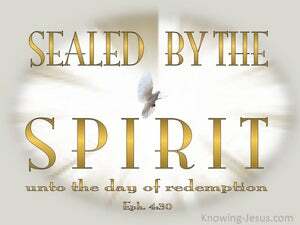 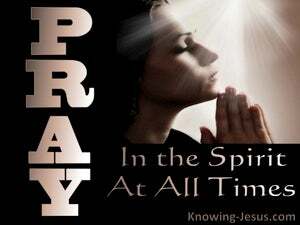 When we were born of the Holy Spirit, we received a holy and spiritual nature. 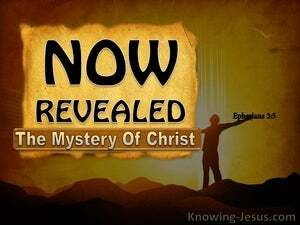 When we first believed in Christ we received a new nature - the nature of Christ. 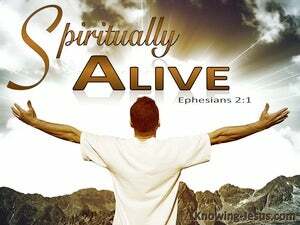 We were born into newness of life and given a regenerated spirit - a new life in Christ. 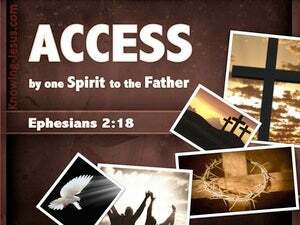 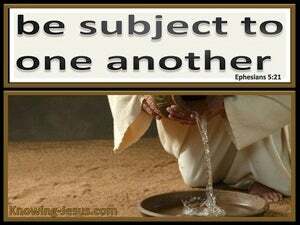 For three whole chapters Paul sets out the privileges of being in Christ. 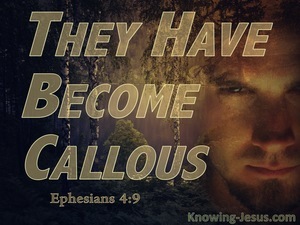 He reminds us of the eternal glories that are kept in heaven, for all who are in Christ Jesus and admonishes us against living our lives in the lust of the flesh, like the unsaved gentiles - who are slaves to sin and without God in the world. 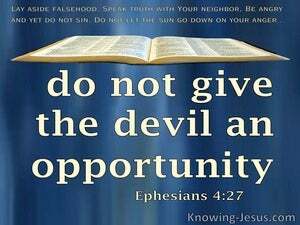 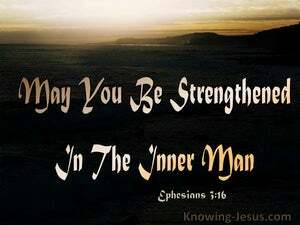 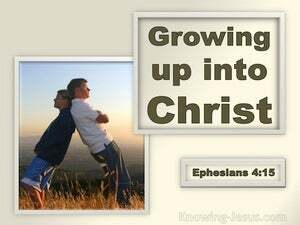 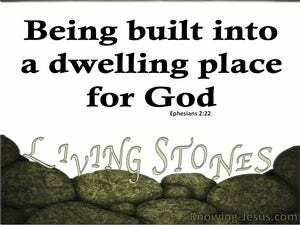 Paul begins to offer practical advice on living the Christian life from the start of Ephesians chapter 4. 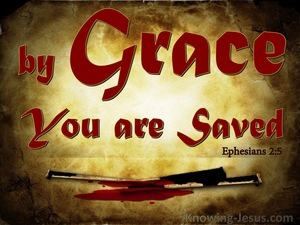 The previous section presents us with a panoramic understanding of who we are in Christ and the tremendous privileges that are ours by faith in Him, but once we arrive at this section, he instructs us on the correct response all believers should have to the amazing grace bestowed on us... through Jesus Christ our Lord. 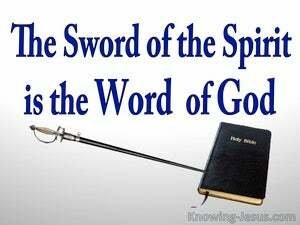 We are not simply to read God's word and study its content in order to expand our knowledge of Scripture. 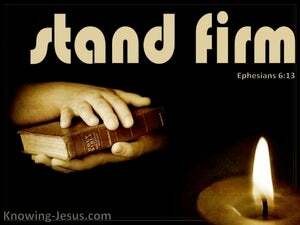 We have a positive responsibility to obey His word and apply it in our everyday life, for when we walk in the unity of the Spirit and live in holiness of heart, we mature in the faith, grow in grace and produce the fruit of humility; patience; gentleness and love. 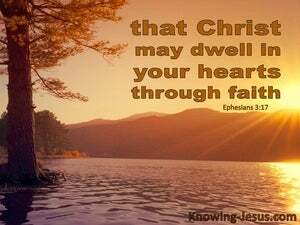 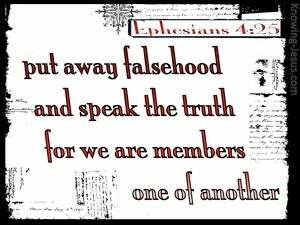 Paul tells us early in Ephesians that whoever believes in Christ as Saviour is sealed with the Holy Spirit of promise when we first believe. 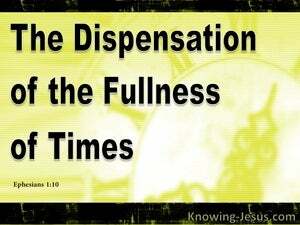 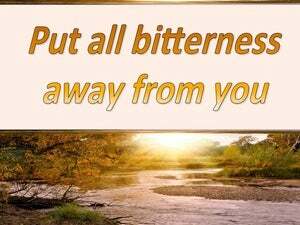 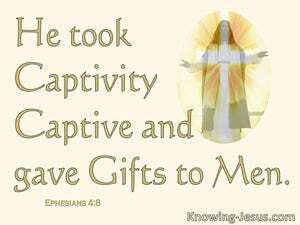 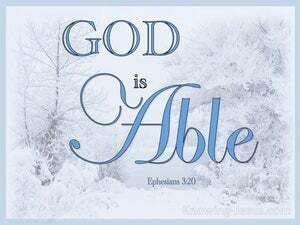 And he builds on this truth when he tells us that we are sealed permanently - until the day of redemption. 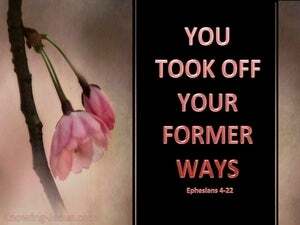 We have been bought with a price and received the life of Christ but too often we allow the old sin nature to surface in our lives and Paul warns that allowing sin to take control in our hearts, rather than the new life in Christ causes the indwelling Spirit (Who has sealed us unto the day of redemption) to be grieved and distressed. 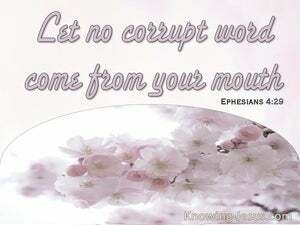 One of the most pervasive sins which too often feeds our fleshly attitudes and appetite is bitterness. 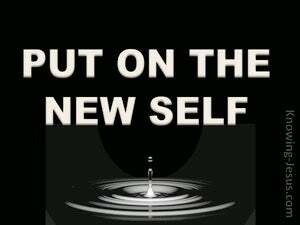 Bitterness is often the root of many emotional outbursts and is too often birthed by a smothering resentment against the injustice or unfairness of another or due to problematic circumstances - some of which may be real while others may be perceived - some of which may have been avoidable and others unavoidable. 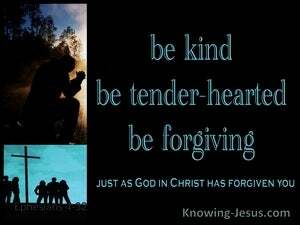 Forgiveness was a matter that was dear to the heart of our compassionate God – and forgiveness paid a tremendous part in the redemption of mankind. 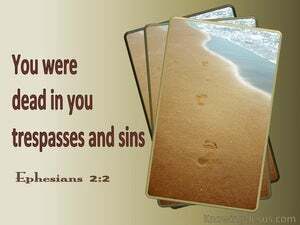 Forgiveness of sin is what fallen man yearns for and yet is incapable of receiving, unless he comes to the foot of the cross and is washed clean by the blood of the Lamb, for there is no forgiveness of sins – except through the shed blood of the Lord Jesus Christ. 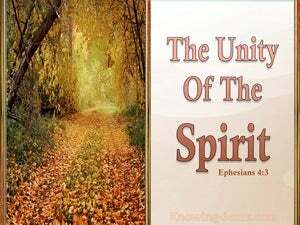 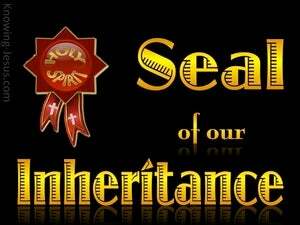 Having detailed our unity in the Spirit; our union with Christ and the unsearchable riches of God that have been freely bestowed on us, by grace. 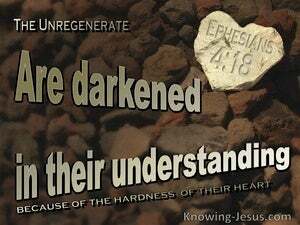 Paul contrasts the corrupt lives of unregenerate man with the normal Christian walk, which should exhibit the tenderness, forgiveness and grace that we see in the character of God and the life of Christ. 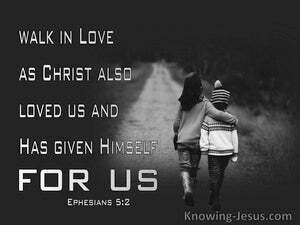 We are exhorted to walk in love, and the life of Christ can be described as a life-walk, which from start to finish was exercised in love. 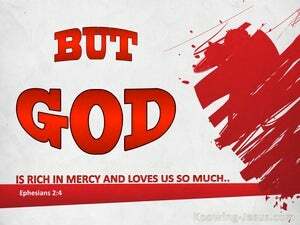 His life is characterised, in conduct and conversation by an outflow of loving grace, and compassionate mercy towards those with Whom He came in contact. 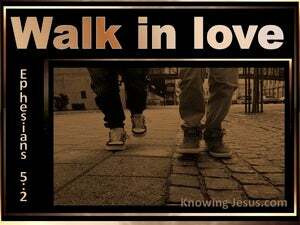 And Christ exemplified the walk of love, which we are exhorted to follow. 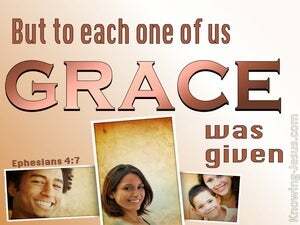 For three wonderful chapters Paul has been telling the Ephesians what are the incredible riches of God's grace toward us, and of the supernatural position and privileges that are ours, simply by grace - through faith in the Lord Jesus Christ. 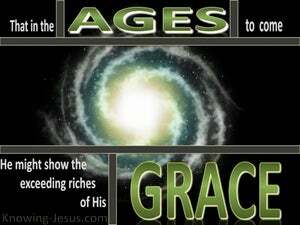 We have been lifted up out of a world of deep darkness, into the light of the glorious gospel of God's grace. 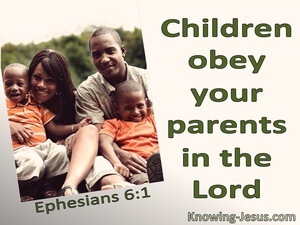 Our walk through this life as His children, is to become a day-by-day lifestyle, that is pleasing and honouring to the Lord. 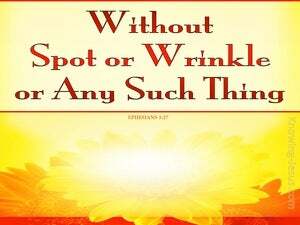 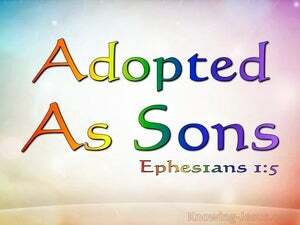 While the first part of Ephesians is an exposition of Scripture, where Paul reminds us of the wonderful advantages that are ours in Christ, the last section moves to exhortation, where we are instructed in Christian conduct and charged to live as sons of God and joint heirs with Christ. 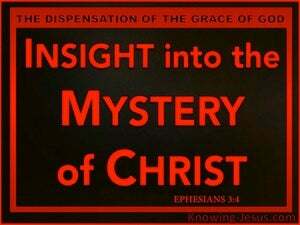 For three wonderful chapters in his letter to the Ephesians, Paul outlines our privileged position in Christ. 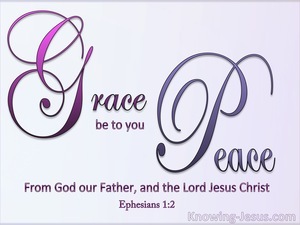 He tells of our redemption by grace through faith in Him; of reconciliation with our heavenly Father and of our glorious transfer from the kingdom of darkness into the kingdom of His dear Son. 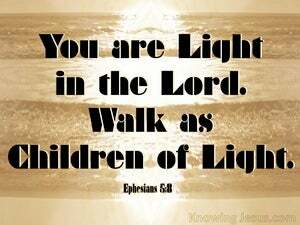 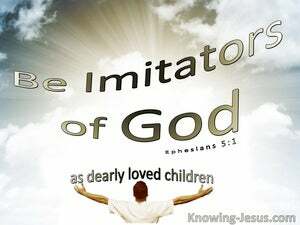 In his letter to the Ephesians, Paul identifies the qualities of the man or woman who walks as a child of light, and is filled with the Spirit of God. 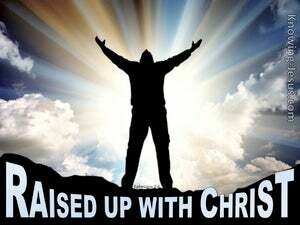 For to walk in spirit and truth and to be filled with the Holy Spirit.. results in a Christ-like life of godly self-sacrifice and the production of an abundance of spiritual fruit - for the benefit of others and to the glory of God. 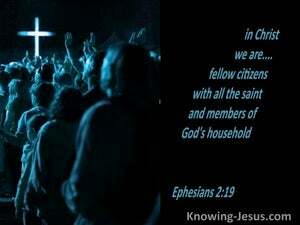 Having been given a breath-taking description of our privileged position in Christ and the astonishing benefits of trusting His finished work on the cross for our salvation, Paul outlines the importance of being spirit-filled and walking in holiness, before guiding us through the process of its practical application in our every day lives and in particular in connection with the relationships that we have with one another. 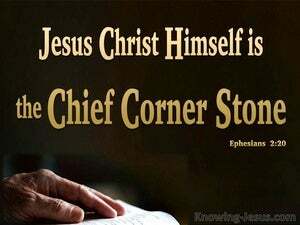 The Lord Jesus is the federal head of the new creation and the very personification of love – for the Man Christ Jesus was also the eternal Son of God united in one human body – One in Spirit with the Father and yet a true kinsman of humankind – and Christ loved His God and Christ loved His bride – the Church. 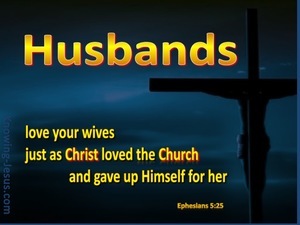 Paul used the special relationships between a husband and wife to exemplify the intimate communion there is between Christ and the Church, and that relationship is patterned on Christ's sacrificial love for His church - for Christ loved the church and gave Himself for her. 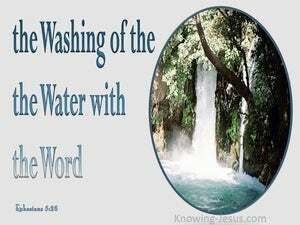 But the sacrificial love that Christ has for His Church also has a cleansing element, as well as a sanctifying effect upon Her. 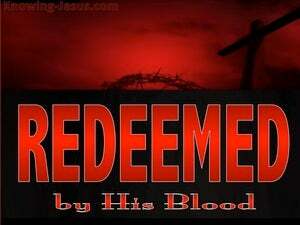 In the past, Christ manifested His love towards us in that He died to pay the price for our sins - He redeemed us by His blood. 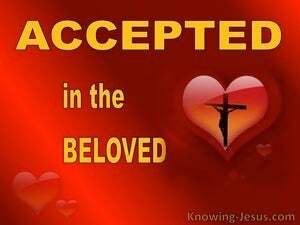 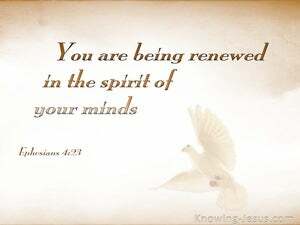 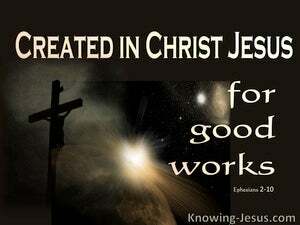 At redemption we were positionally sanctified and set apart for Him, but throughout our life on earth.. we are in a process of being sanctified, for He who started a good work in us has promised to complete it in the day of Christ Jesus. 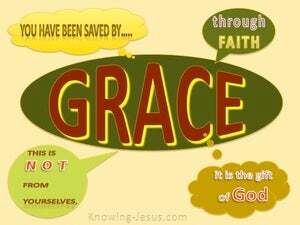 Salvation for pre-cross believers who lived in the dispensation of the Law and post-cross believers who live in the dispensation of the grace-of-God, is given and received in the same way - for salvation is by God's grace through man's faith in the God's Word. 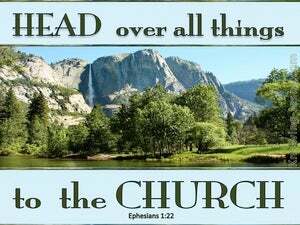 In this Church age salvation is ours by grace through faith in the death, burial and resurrection of our Lord Jesus Christ.. 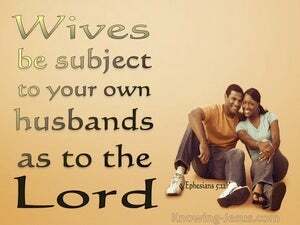 The Word of God gives much importance to the institution of marriage and the intimate relationship and responsibilities between a man and a woman, when they are joined in holy matrimony, for marriage is a sacred reflection of the union between Christ and His Church, and was ordained by the Triune God, in the eternal council chambers of heaven, before the world began. 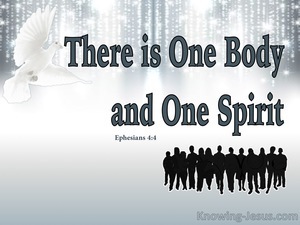 The focus of the previous chapter is to be filled with the Spirit of God, and one result of this spiritual ‘filling’ is the manifestation of a submissive spirit, godly love and a true respect for one another. 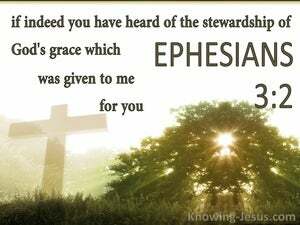 In the opening chapters of the epistle to the Ephesians, Paul gives a wonderful overview of our position in Christ and the riches of God's grace that have been poured out on all who are in Christ Jesus. 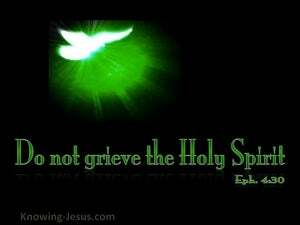 But as we approach the end of the epistle, he does not want us to forget that despite our heavenly privileges we are living on earth.. and engaged in an ongoing spiritual battle. 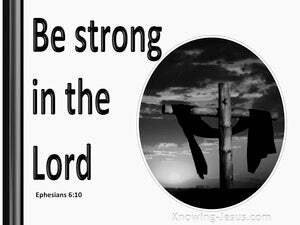 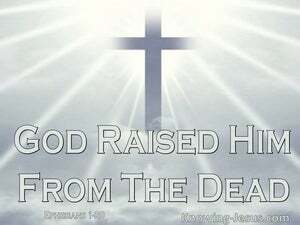 Christ gained complete victory over sin, death and Satan through His death, burial and resurrection. 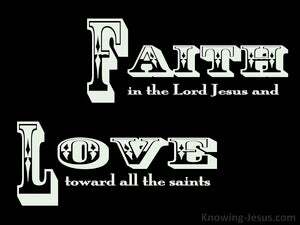 And Christ's victory is ours by faith - for we are His body and are identified with Him and He with us. 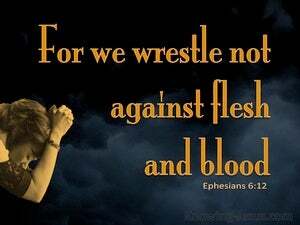 Many of the battles in Old Testament times were fought with spears and swords in the physical realm.. but New Testament believers are called upon to fight battles in the spiritual sphere.. for we do not wrestle against physical enemies of flesh and blood. 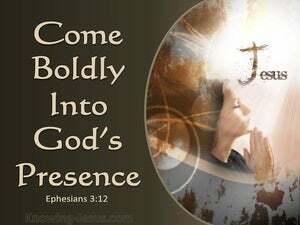 Our enemy is in the spiritual plane. 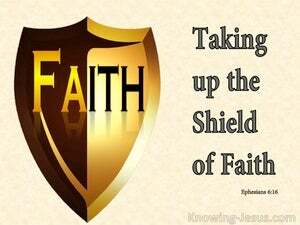 We are all so familiar with the armour of God, as laid out in Ephesians 6.. but no matter how much we learn about it, there is so much more to discover.. for every piece of our spiritual armoury points us to the Lord Jesus, the eternal Son of God - and every aspect of our or holy covering is immeasurable. 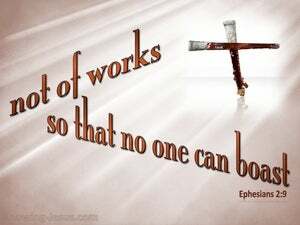 In our Christian walk, we are not fighting a physical battle but a spiritual one, and God in His grace has equipped us with a wide range of spiritual armoury, which when used correctly, will be able to extinguish all the fiery darts of the enemy, be a protection to ourselves and others - and give glory to the Lord.